V starts with a saxophone honking away as if there's no band, no other music, nothing. Just a street artist playing his heart out. As if in one of the incredibly long underground tunnels in Paris or London, where the music comes to you from far off and sometimes the source is never seen, just slowly fades away, after taking another turn. At 40 seconds the band comes in, hesitantly at first. The is the final moment of hesitation for band and listener. Spidergawd pumps up the volume with no looking back. If had to sum up in one sentence, this The Who song does it all: "Long Live Rock"! 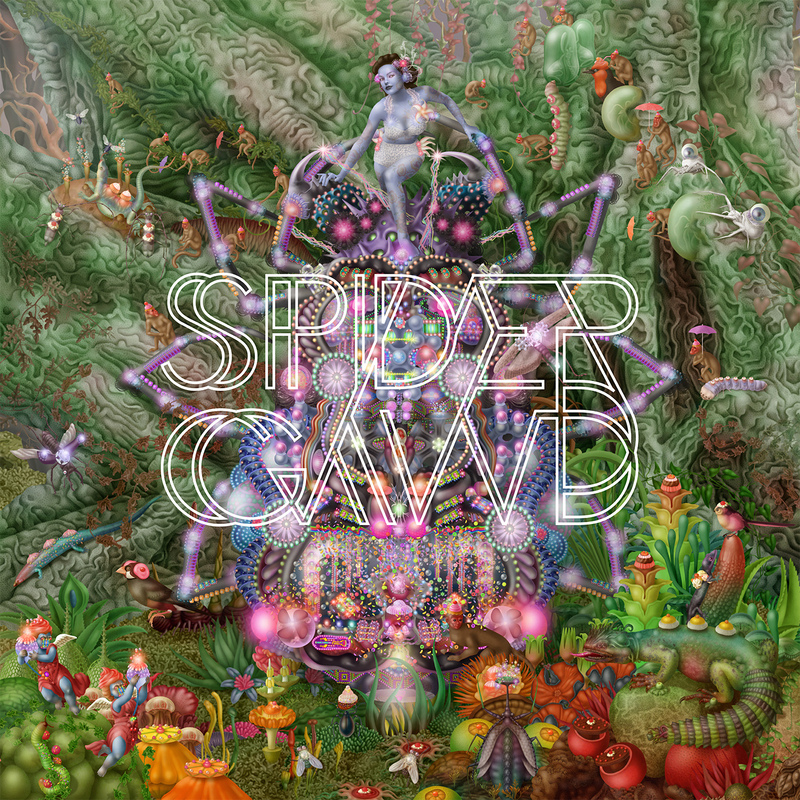 Spidergawd is a band from Trondheim in Norway. Like a few other bands that featured on these pages in the past years. Drummer Kenneth Kapstad srummed in one of them until 2016: Motorpsycho. The band started in 2013 with Bent Sæther of Motorpsycho on bass. In 2019 singer guitarist Per Borten, Rolf Martin Snustad on saxophone and bass player Hallvard Gaardløs make up the band. V is the fifth album of Spidergawd since 2014, missing 2018 by 11 days, so nearly one album per year. As I wrote, long live rock captures it all. 50 years of rock are captured in the music of Spidergawd. The riffs of old as created by the first generation rock and metal bands fly around like it is, let's say, 1973. The Who, Deep Purple, Black Sabbath, Uriah Heep, it's all here and more. Of course a little Metallica is added, some Guns 'N' Roses. Borten's voice seems made for a hardrock wail. He has that force in his voice that allows it go into some kind of scream without losing control. I am not even a huge fan of the genre. Yes, I have some of the classic singles and albums, but they are certainly not my first choice when I put on a record. Rest assured, I am enjoying myself tremendously with V. Spidergawd plays a lot of the right strings. Good melodies, fabulous riffing, accents and dynamics make up all eight songs. Nearly each time without overdoing it. That usually is the moment I'm turned off quite fast. On V technique is in support of the song and not vice versa. Spidergawd is not afraid to show what its influences are. From there it builds its own universe. A solid wall of sound, with the saxophone as a unique signature for a hardrock band. At the same time the band is able to write songs that matter and make a difference. The band is super tight. The Motorpsycho link is also evident, but from there the attention is diverted to the song and not to the experiment. 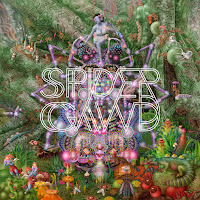 There already is a Motorpsycho in my universe, now there also is a Spidergawd. A great time to be had by all.